The 20+ years since my art degree have been spent developing my work alongside teaching a variety of art media in various settings. 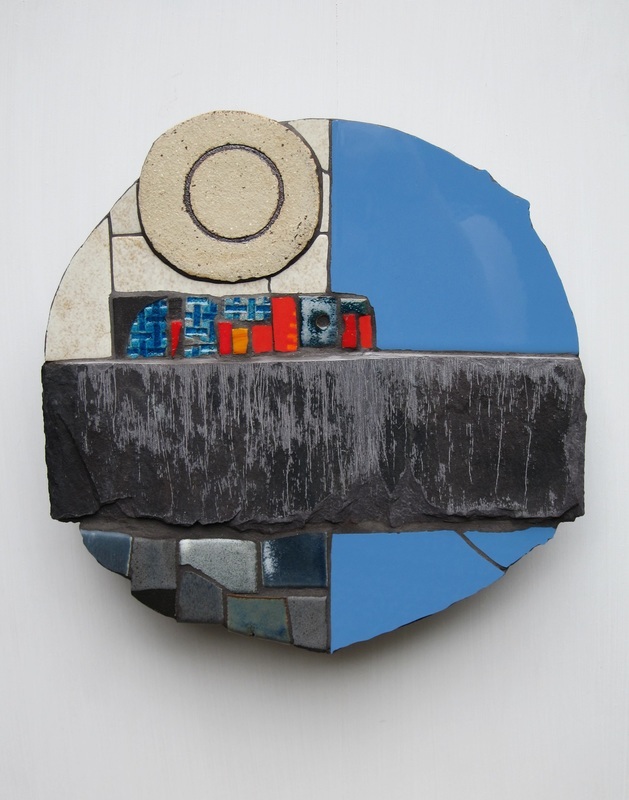 I enjoyed working with a range of materials, using ceramics, collage, assemblage and painting before finding my niche in mixed media. 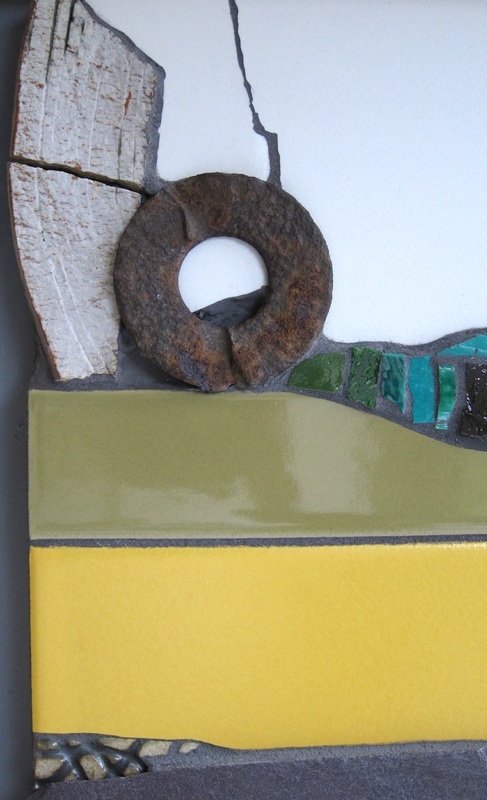 I make wall hung and wearable pieces using a range of found material, my own handmade and salvaged ceramic pieces and vintage and industrial tiles. 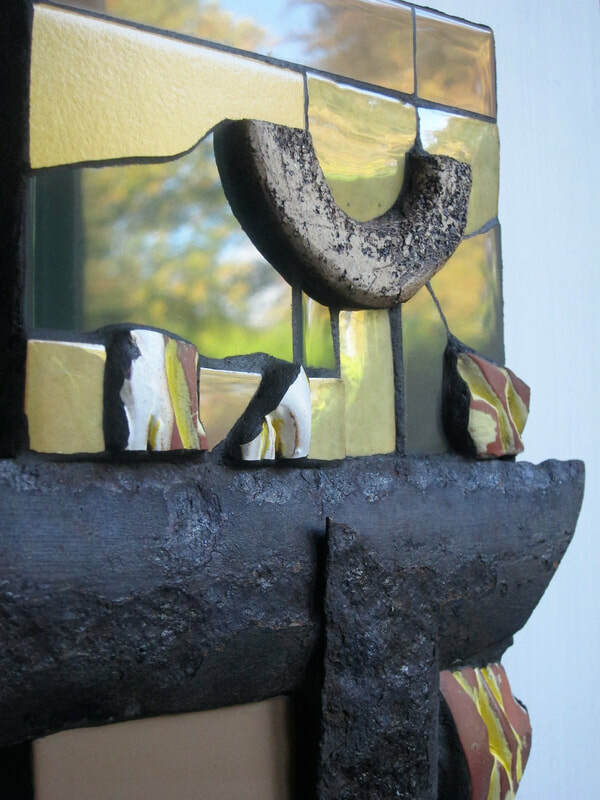 Inspired initially by the mix of materials and lately mid century design, I enjoy working in a intuitive, almost painterly way, experimenting with a palette of varying texture and colour combinations to create abstracted landscapes and designs inspired by still life painting. Please fill in the box below to be added to my mailing list. I will then be able to let you know where you can see my work.